Spartina anglica (common cordgrass) is a rhizomatous perennial grass (family Poaceae) found in salt marshes and mudflats in northern San Francisco Bay. 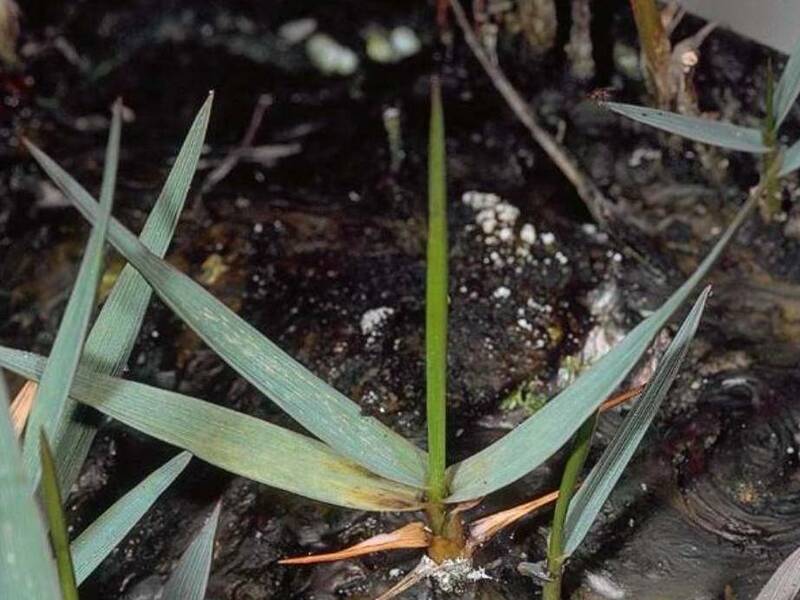 Common cordgrass is a recently evolved species that was first described in the late 1800s. The new species resulted from the hybridization of smooth cordgrass (S. alterniflora) and small cordgrass (S. maritima) in England. Spartina anglica can transform tidal mudflats into drier, elevated meadows over time. This has not yet occurred in the infested site in the San Francisco Bay, where the species has been spreading slowly since its introduction in 1970.